In the 1760-80ies the Kuskovo estate was the most popular Moscow recreation location known for its receptions, balls and parties, theatrical and folklore shows, fireworks and divertissements with up to 30 000 guests present. Now as 200 years ago Kuskovo hospitably opens its gates to the visitors. One of the reason we could cover so much in Moscow in 3 days was Arthur and his well maintained Car. Night tour was a must do as you see the places that look much more exciting at night !! Arthur was very knowledgeable and hence quick to show us many places. Next day was Kremlin Cathedrals, Armoury and Diamond Fund. Arthur showed us all the important things there and explained in detail. He also managed to show us Diamond Fund which was a little difficult as tickets could not be pre-booked. Metro tour was also nice and Arthur showed us all important stations and then he dropped us to the Cosmonautics Museum as agreed. 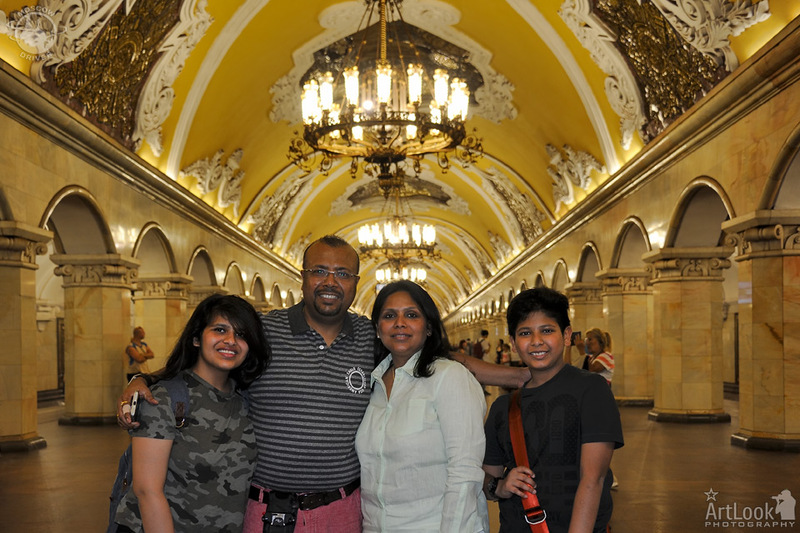 All thanks to Arthur for making our Moscow trip wonderful.